Hanoi (VNA) – Prime Minister Nguyen Xuan Phuc encouraged the United Arab Emirates’ (UAE) Investment Corporation of Dubai to expand investment in Vietnam, while hosting the group’s Executive Director and CEO Mohammed Ibrahim Al Shaibani in Hanoi on March 25. PM Phuc said Vietnam attaches great importance to the sound friendship and multifaceted cooperation with the UAE, especially in economy. 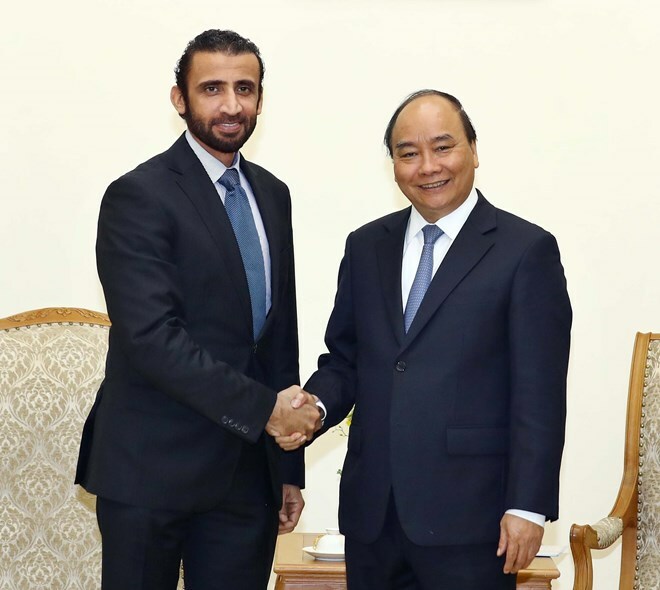 He noted that the UAE is now the biggest trade partner of Vietnam in the Middle East, with an annual bilateral trade value of around 6 billion USD. The PM believed that after its trip to Vietnam, the Dubai investment firm will develop long-term investment plans in the country. Shaibani said that following the annual meeting of the World Economic Forum (WEF) in Davos, Switzerland, in January 2019, the group started working with Vietnam’s VinaCapital to plan a visit to the country to study cooperation opportunities. The firm worked with authorities of Quang Nam and surveyed some locations planned for implementing a large-scale resort and entertainment complex project in the central coastal province, which reaped good results, he said. He added that his group wants to seek reliable partners in Vietnam for long-term business. Vietnam has a many advantages to develop tourism, such as hospitable people and beautiful landscapes, he said. The UAE has a large demand for labour, so he hopes to cooperate with Vietnam to bring its workers to work in the Middle Eastern country, particularly in tourism services and hotels. PM Phuc said Vietnam has a favourable business environment with improved infrastructure, and the number of international tourists to the country has been on the rise. The location that the group chose to carry out its project is located near beautiful beaches, world cultural heritage sites, airports, seaports, and key national highways, so the possibility of success is very high, he said. The PM expressed his willingness to cooperate with the UAE and the Dubai firm to bring Vietnamese guest workers to the country.